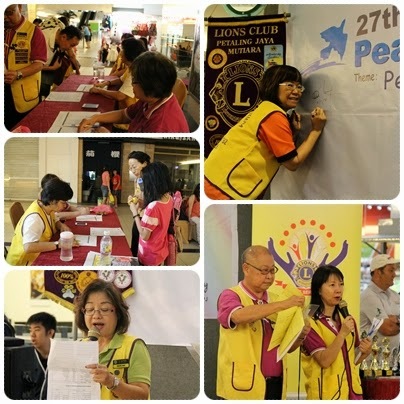 Z16C Jessie Ng Official visit to LC PJ Mutiara 9th Business Meeting with guests, from our sponsoring Lions Club PJ Metro, President Chee Onn Chwee, Lion Betty Toh and Lion Malcolm Birch of LC Clevedon New Zealand. 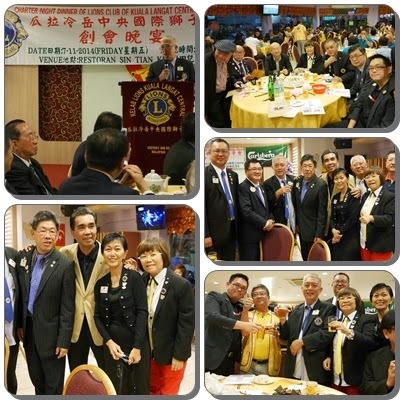 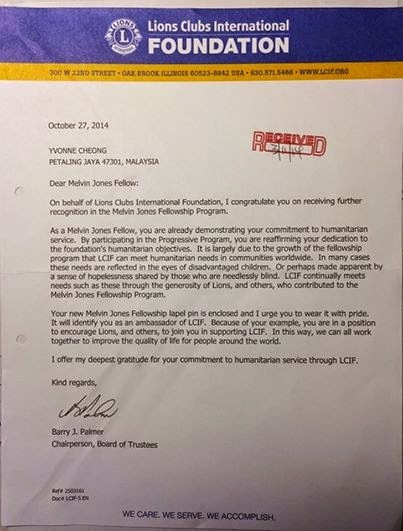 Recipient of DG Lion Ooi Chao Syhuan Ruby Pins earned by President Lion Yvonne Cheong, Secretary Lynda Yeng,Treasurer Irene Hoi, Tamer Josephine Yeng WK, Leo Advisor Lion Nelson Wong and yours trully Membership Director. 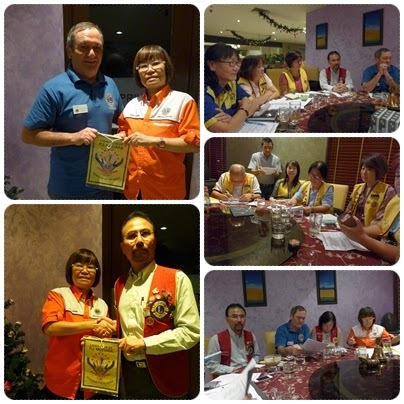 President Yvonne presented the Club bannerette to visiting Lions from PJ Metro and Clevedon New Zealand. 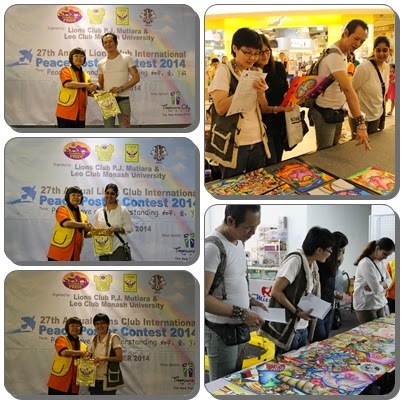 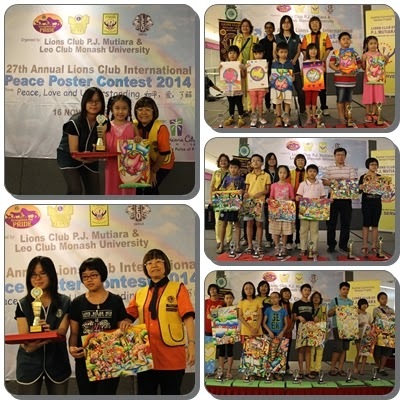 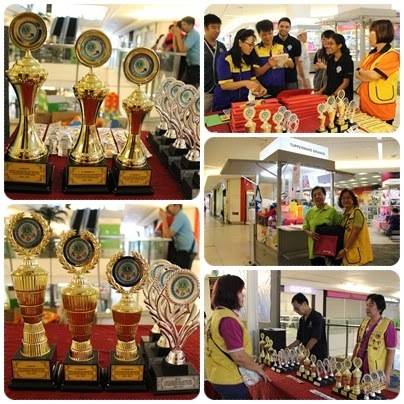 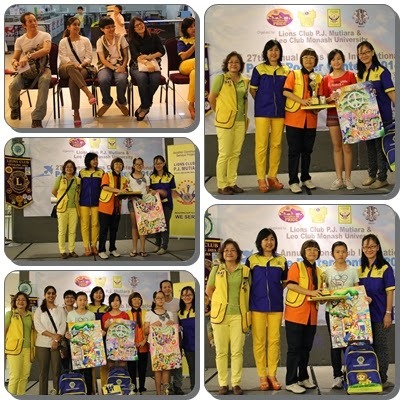 27th Annual International Lions Club Peace Poster Contest 2014 was held at Tropicana City Mall from 9.00 am to 2.40 pm. 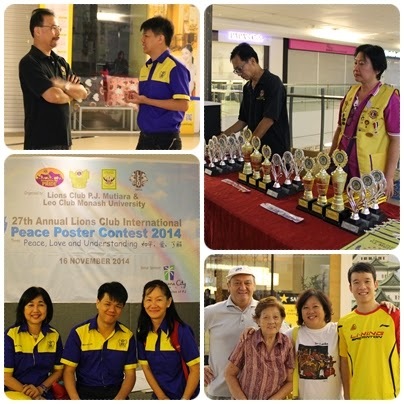 1st Runner-Up Kuan Xin Yi, 13 years and 2nd Runner-Up Kelly Wong, 11 years Vote of appreciation and thanks to visiting Lions : President Chwee Chee Onn of our sponsoring Lions Club, DC Leo Clubs Region 5 Marcus Loh, Lion Betty Toh, her mom, her youngest son and husband Lion Malcom and Lion Eric Foong for his assistance as photographer. 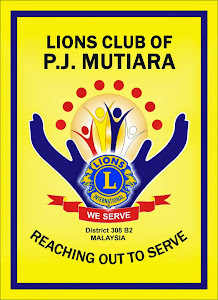 Charter Night of LC Kuala Langat Central.